Christmas 2018 marks the 13th return of the annual feeding the homeless at Christmas. It's been a few years now that I've been spreading the world about this great event, and the fantastic job the servants of hope do to ensure its properly staffed and funded. 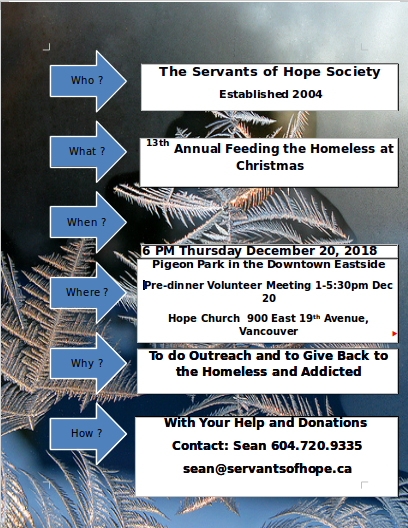 However, for any of you reading who would like to do more, then give Sean a call at 604.720.9335 or email him at sean@servantsofhope.ca and find out what you can do to help this great event. We're rebooting "The World Is Flat" category with an older submission from East Java, Indonesia. Here we have Muhammad Haris Effendi (Circa July 2017) showing us his deep commitment to flatland and that the struggles against gravity are real. Good stuff!